Epic Games has been around since the early '90s, where they started as Potomac Computer Systems. After publishing his first game ZZT, the CEO Tim Sweeney changed the name of the company to Epic MegaGames, and that's where the story really began. Based in Cary, North Carolina, Epic Games (Epic) has been pivotal in the gaming space, and whether you are aware of it or not has changed the way the idea of gaming is portrayed today. Epic has released a ton of mainstream titles, from the Gears of War franchise to Unreal Tournament. What could be considered Epic's greatest achievement, however, is publishing the Unreal Engine—a software suite of tools designed to develop 3D video games. The Unreal Engine has been part of hundreds of games across all platforms: console, PC, and mobile. Whether you're looking at triple-A titles like Assassin's Creed and Borderlands, indie titles like A Hat in Time and Rocket League, or even mobile titles like Lineage II: Revolution, the Unreal Engine is widely prevalent in gaming and is probably behind many of the titles you've grown to love. This suite of tools is what really put Epic on the map, and has allowed development companies of all sizes to thrive in the gaming space. One day, 98% of Earth's population suddenly disappeared, and the remaining population found the skies covered in dense clouds, creating chaotic storms that dropped husks, humanoid zombie-like creatures, that attacked the living. The survivors found ways to construct "storm shields," a field that cleared the storm clouds from immediately overhead and reduced the attacks from husks, and used these to set up survivor bases across the globe. The player is a commander of one of these bases, charged with going out of the storm shield to find resources, survivors, and other allies to help expand their storm shield and find a way to return Earth to its normal state. Using the Unreal Engine, Epic has produced what is arguably the hottest title of the year in Fortnite Battle Royale, boasting over 50 million players worldwide. Fortnite Battle Royale is a battle royale (duh!) third-person shooter that pits 100 players against each other in a fight to be the last person standing. This concept of Battle Royale wasn't a new one, with Player Unknown's Battlegrounds (PUBG) gaining huge popularity before Fortnite was really on the map, and H1Z1 preceding both by years. The concept is rather simple, a large amount (usually 100) of players enter a map with limited resources and need to search and gather everything from weapons and ammunition to armor, health kits, and shields, in order to prepare themselves for the inevitable battle to be the last person standing. Fortnite adds an additional layer to that—that PUBG doesn't—the ability to build and destroy just about anything in the landscape to further give you the advantage. From towers to giant sky-bridges spanning hundreds of yards, the Fortnite building ecosystem adds a layer of complexity to the game that allows for quicker, more intense battles that are determined by your ability to multitask—from shooting and finding cover to creating your own and walling off the opposition while you quickly loot the last person you managed to take down. The idea of a battle royale shooter seems like a new concept, with these titles only really gaining popularity by late 2017/early 2018. Part of this is the evolution of the hardware required to run such a massive infrastructure like the servers behind these battle royale titles. From predictive analysis of player inputs to cloud servers with impressive hardware specifications, we've seen some advancements that make this style of gaming possible to the scale we're seeing. A lot of the concepts behind these games are taken from other genres and titles as well. From the idea of a multiplayer deathmatch that we've seen in shooters for years, to the microtransaction-based unlockables, none of the concepts here are necessarily new, so much as repurposed for a different atmosphere. 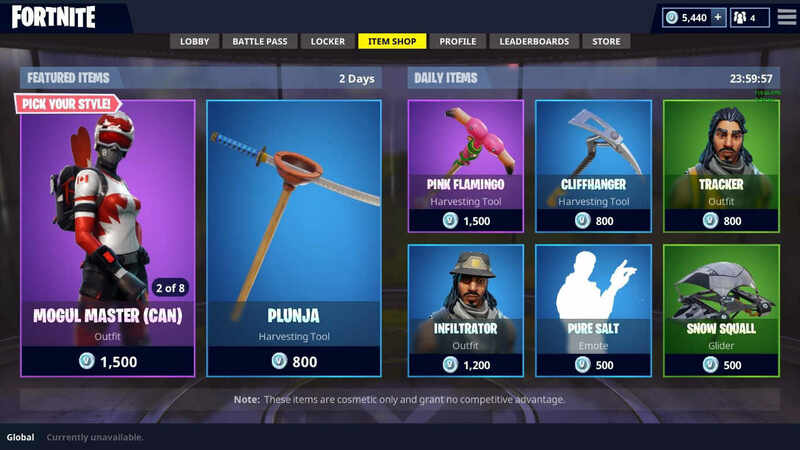 The Fornite Battle Royale microtransaction shop for cosmetic unlockables. Allowing hundreds of concurrent connections with minimal latency and lag isn't necessarily a feat of strength in 2018, but doing it as well as Epic Games does with Fortnite Battle Royale is something to appreciate. With over 40 hours of gameplay, I have yet to feel like connection issues were the reason for my downfall at any point. As of September of 2017, Epic Games stated, "Client Stability settled at around 100 hours of MTBF (mean time before failure) [...] That means on average the game crashes every 100 hours of gameplay." This metric is good by industry standards, with the team boasting that they would like to see that number reach 10,000 hours MTBF. The Epic Games team has created a server infrastructure that makes it ridiculously easy for them to spin up additional servers, each able to host tons of matches at the same time. This particular attention to detail shows that the scalability and functionality of the game are important to the developers, and the infrastructure is constantly evolving to support an avid gaming community. Fornite Battle Royale also falls into what I like to refer to as "budget games." The minimum system requirements to run this on a PC are low, only requiring a minimum of a Core i3 2.4GHz processor, 4GB of RAM, and integrated graphics to run on the lowest settings (letting you run it on a PC that costs under $500). With the focus on community that Epic Games has taken, it's nice to see that they don't exclude those of us who might not be able to upgrade our hardware often enough to keep up with the times. For optimal performance, you're looking at a Core i5 2.8GHz processor, 8GB of RAM, and a graphics card with at least 1GB of memory (2GB is optimal). 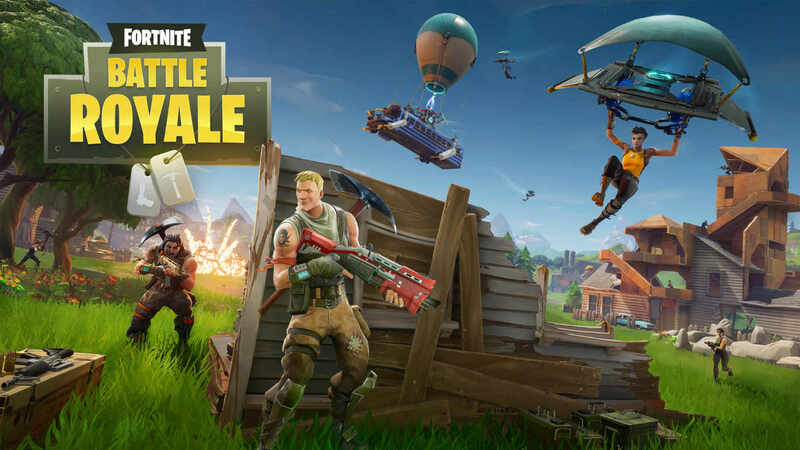 Fortnite Battle Royale wasn't the original purpose of the Fortnite brand, which originally released as a co-op multiplayer survival sandbox game, which has been called a "combination of Minecraft and Left 4 Dead." The flagship Fortnite title pits up to four players against the world, in which a fast encroaching storm wipes out 98% of the world's population, only to replace them with zombie-esque enemies for the players to defend themselves against. With the added functionality of being able to gather materials (wood, stone, and metal) to build structures to fortify your base and discourage enemies from reaching you on the ground-floor, Fortnite combined the creative side of Minecraft with the survival shoot-em-up of Left 4 Dead, creating a unique, complex, and entertaining gameplay concept. With the popularity of PUBG, the Epic team decided to pivot the development of what is still an early-access title (Fortnite) to better suit the current trends in gaming. This pivot was probably one of the best decisions in the history of the gaming industry. Boasting over 40 million players as of January 2018, with upwards of 2 million concurrent users at any time, Fortnite Battle Royale has quickly become one of the most popular games of the 21st century—and with good reason. From the ease of playing to the fact that it runs on basically any hardware, and the ability to play cross-platform between PC, console, and mobile phones, this game has invaded just about every aspect of the life of a gamer. Furthermore, Epic has implemented features that keep you engaged and feeling like each match is a breath of fresh air: from matches that are 5 teams of 20 players, to 50 vs. 50 battles, each game mode adds its own sense of urgency and changes the strategy used to get that sweet, sweet victory royale. 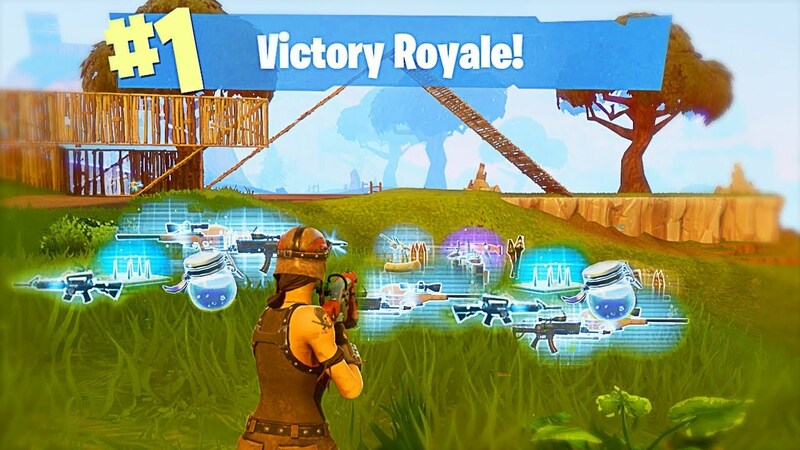 The sweet, sweet victory royale screen when you win a match of Fortnite. So, now that we know a little of the history behind the game, its company, and the technology behind it, we can start talking about Fortnite Battle Royale itself. It is set on a dystopian Earth (or Venus, if you believe The Game Theorists) in which a storm has wiped out 98% of the population. In Fortnite Battle Royale, this storm is an active part of the gameplay. At certain time intervals, the storm shrinks the gameplay area that players are "safe" in, and it causes players continuous damage if they are outside of that "safe area." The storm adds a huge sense of urgency to the game—requiring you to gather as many resources, weapons, etc. as you can, while always having a lurking presence over your shoulder. It also adds to the speed of the gameplay—forcing players to move closer and closer together in order to facilitate that final, epic battle to claim victory. Fortnite has a huge repository of weapon types, containing everything from pistols to crossbows and rocket launchers. Fortnite leverages a classic RPG-style loot system, with different tiers (Common, Uncommon, Rare, Epic, Legendary) of weapons of each variety, making each time you drop onto the island a different experience. Sometimes, you only find common pistols and need to make due. Other times, you're decked out in rare and epic snipers, rifles, and pistols, just waiting for your next target to round the corner into your crosshairs. Each time you jump into the chaos is effectively a different game, keeping it fresh and making it easy to lose hours without even realizing it. Besides traditional weapons, Fortnite offers several utility items to further expand on the gameplay, from two different types of health recovery items, shields, and epic/legendary variants that recover both health and shields. There are also tons of offensive utility items, from a grenade that displaces people to grenades that force people to dance, removing their main controls for a few moments. And these keep getting added and improved, so by the time you read this post you'll probably see even more utility items, both offensive and defensive. The RPG-esque loot system, with weapons of 5 different rarities. Fortnite also boasts a repository of game types: Solo, Duo, and Squads of 4 are the core game types, each adding additional layers of communication and complexity to the game (I mean, 1 vs. 1 might be easy, but 4 vs. 1 in squads is a different story). There are also tons of Limited Time Modes (LTMs), from Snipers Only to 50 vs. 50 squads, every few weeks, they rotate out to offer a breath of fresh air that makes it even harder for this game to get completely stale. The most unique feature that sets Fortnite apart from its competitors is the building mechanic. Players have the ability to create four base structures: stairs, walls, floors, and peaks (think the peak on a roof, a pyramid of sorts). They also have the ability to find traps while looting for gear, including spike traps, launch pads that will send you up in the air to gain a better vantage point or move across large distances quickly, and campfires to "camp" near and regain some health. This building mechanic pairs with the idea that every single structure in Fortnite is destructible, and rewards some sort of materials. These materials are, in turn, used to create these structures at varying durability levels (based on the material used). Being able to create your own cover, navigate up mountains by building stairs right into the side of them, and giving your self the ability to gain the high ground over another player by simply building stairs makes the combat in this game unlike any other, and allows for some crazy gameplay, and sets Fortnite ahead of the competition. The building mechanic that sets Fortnite apart from its competition. Fornite Battle Royale is a pivotal title in gaming. From the revolutionizing of the battle royale genre with building, and RPG elements to satisfy gamers of all types, to the plethora of game modes to keep you on your toes, it has become a staple of the gaming industry of 2018. One of the biggest advantages for Fortnite is also in the fact that the Battle Royale game-mode is available free-to-play, all you need to do is download the client and create an account. Being available cross-platform, and for free, makes this a keystone for the gaming community as well, allowing you to play with your friends, no matter what console war driven bias you might have, and without discriminating on weaker hardware (I mean, it even runs on iOS). The advances in technology and infrastructure that allow us to see games to this scale are awesome and are the first step to seeing things like full-scale multiplayer virtual reality titles, to improving experiences with gaming titles that already exist. As a final note, I would highly recommend this game to fans of shooters and RPGs alike. The loot system in this game feels very Borderlands-esque, and the cartoony, fast-paced shooter style game feels similar. It scratches the competitive gaming itch a lot of us have, without the rage-inducing gametimes for games like League of Legends. With matches that last between 0 to 25 minutes on average, you'll never be mad for long about a particular loss or bad loot finds. Do you play Fortnite Battle Royale? Are you a console or PC Gamer? Is your system not quite good enough to run the game, or is your console out of commission? Stop by Armor Techs, and let us fix that console, or help you build a new gaming rig to run what is arguably the most popular game of 2018!